I spent a few days at the beach house last week with three amazing women, Lorzel from Barnhouse Vintage Market, Debra from Debra Hall Lifestyle and Laurie from The Pink Porch Ventura. We spent a lot of time talking about Instagram but we also had some fun sharing DIYs. Each of us hosted a DIY which was really fun! 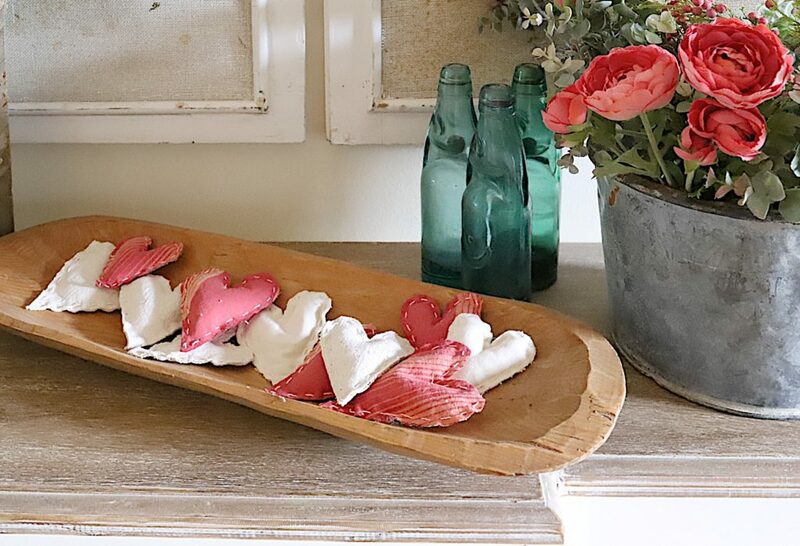 Today I am thrilled to share Debra Hall from Debra Hall Lifestyle and her DIY to make fabric valentine hearts.